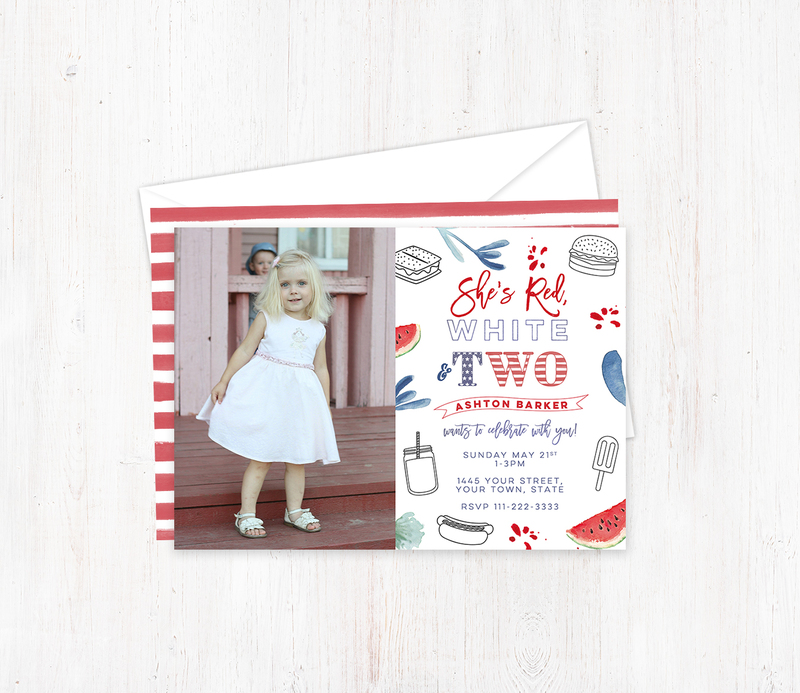 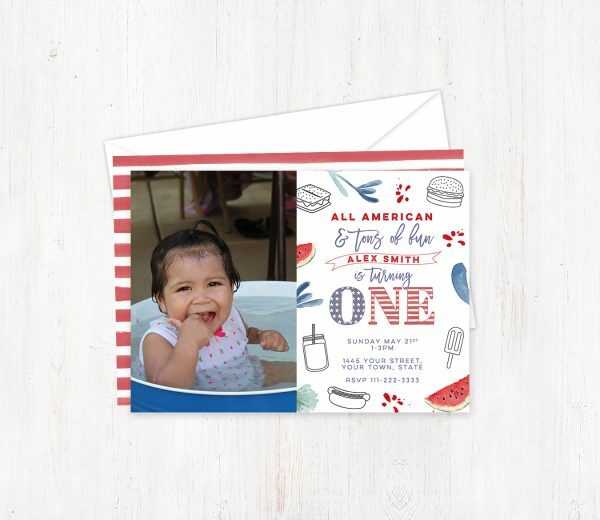 2nd Birthday Invitation Prints in a Stars and Stripes theme for your little girl’s birthday party. 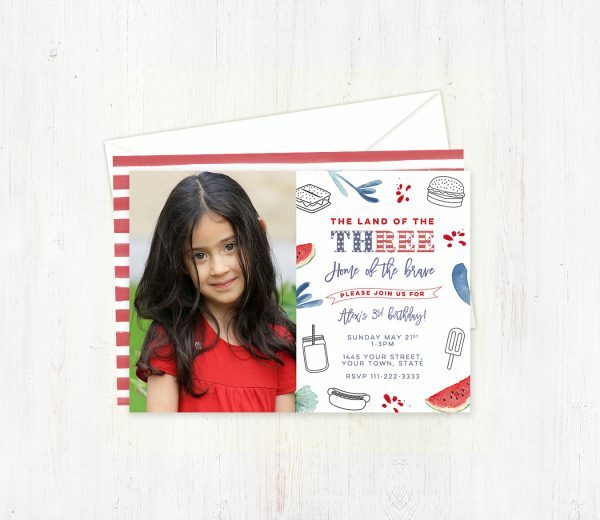 These photo invitation cards are sure to charm your guests. Apart from the “ONE”, “TWO” or “THREE” you can change the wording in the invitation (without extra cost) as long as you are substituting a similar amount of words.